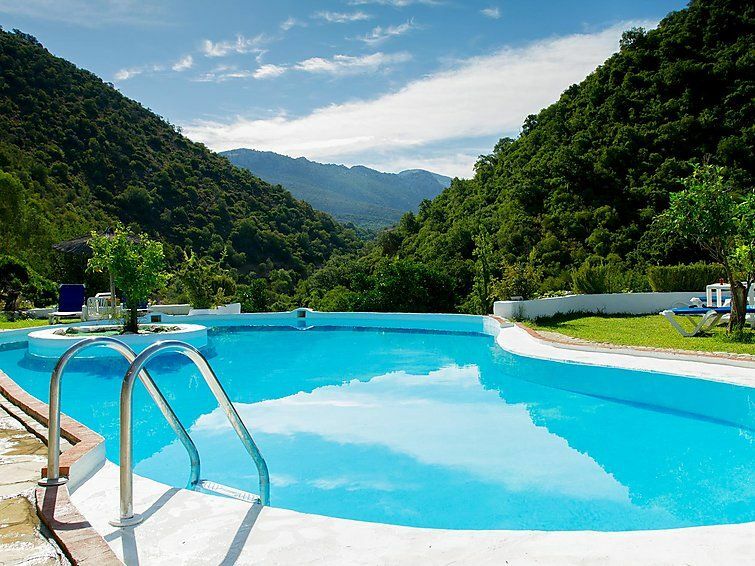 Comfortable, cosy finca "this property", built in 2000, renovated in 2010, surrounded by trees and fields. Facilities and distances: shop 5 km, grocers 5 km, supermarket 5 km, restaurant 5 km, indoor swimming pool 5 km, swimming pool 5 km, sports centre 5 km, golf course 50 km, tennis 5 km, bus stop 2 km. Please note, nearby is a motorway in 50 km, main road in 5 km and ein airport/airfield in 80 km. Living/dining room with open fireplace. Smoking allowed. Internet (Wireless LAN [WLAN]). Terrace 20 m2, patio 20 m2, terrace furniture, 2 deck chairs.